First, thank you to all the parents and participants that have signed up for one of our Spring Leagues! The season will be here before you know it and we are looking forward to another exciting season of volleyball. Now that you are registered to play with USYVL, what about your friends? There is nothing better than playing volleyball with your friends. Come create lasting memories with family and friends this spring season. This is the perfect opportunity to invite your friends to get involved in volleyball. When a new player signs up for our spring season and says that you referred them, USYVL will send you a Volleyball Starts Here T-shirt! 1. Find a friend, classmate, or family member and tell them about USYVL. 2. Have your friend visit our registration page and locate a spring league to join. 3. During the registration process, the form will ask your friend how they heard about USYVL. 4. Have your friend select that they learned about USYVL from you (Refer a Friend) and include your name as the individual that referred them. 5. We will send you a Volleyball Starts Here T-shirt. The more friends you bring, the more fun you will have this spring. Any boy or girl that refers five friends will also receive a gold Molten volleyball signed by an American Olympian. 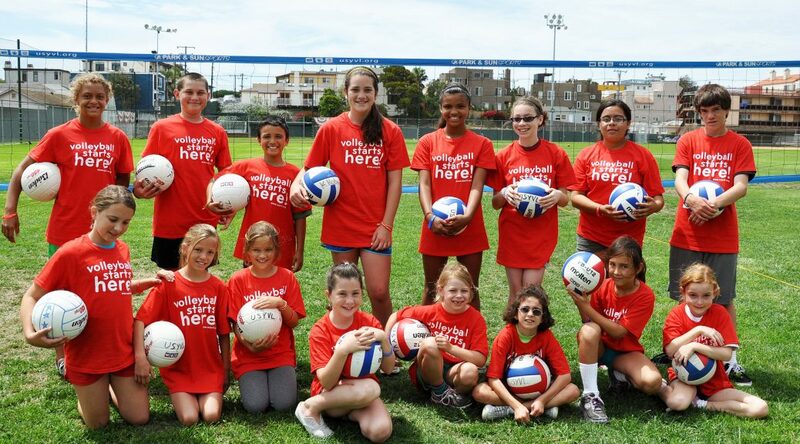 • 8 weeks of volleyball instruction in a fun, safe, and supervised environment. • 4 Age Divisions for boys and girls ages 7 to 15. • Registration price includes a volleyball uniform t-shirt, volleyball, and participation award. If you have questions, give us a call at 1-888-988-7985 or visit our Refer a Friend page. We look forward to seeing you and your friends this spring.